Lung cells replace and repair themselves faster than any other cells in the body, which plays a vital role in supporting life. The first thing and last thing we do in life is breathe! Protecting and maintaining health in the respiratory system is critical. REDOX molecules play a pivotal role in activating the defense systems for lung cells (alveoli). They also signal support to eliminate outside invaders from our environment, that come through the air. Releasing toxins across the cell membrane and neutralizing free radicals must occur second by second in the life of a lung cell. 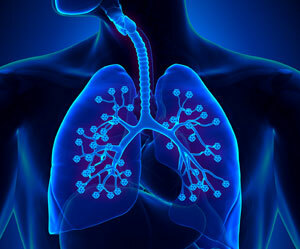 Lung cells are rich in various inside cell antioxidants like glutathione and superoxide dismutase. These antioxidants require equipment to do their work. REDOX molecules provide the resources necessary to activate the equipment for these antioxidants. The design of our lungs provides a network of “armed sentries”. Like leaves on the twigs of a tree, our lung cells have lymph nodes that guard against dangerous germs and toxins. These lymph nodes can distinguish danger from harmless debris. Our life depends on this. If there are mistakes, airway swelling can take place inappropriately (asthma), or by comparison serious threats might go undetected (pneumonia). The intelligence of this system depends specifically on REDOX molecules. The REDOX molecules signal specific characteristics which make the distinctions of “friend or foe”. When we push the limits of our oxygenation with athletic challenges, we feel the boundaries of our physical condition. Supplementing with REDOX molecules provides resources that prevent airway inflammation, and lubricate the membrane receptors. These membrane receptors transport oxygen into our blood, and carbon dioxide back out into our exhaled air.